TGRT Haber is one of the leading news channels in Turkey, founded in 2004. It has positioned itself as a source of straight and objective news without a political slant or attempts at sensationalism. Last week, on April 22, it adopted a new visual identity as part of a rebranding of the TGRT group, developed by London-based agency Turquoise. The main objective was to update the existing logo which was seen as outdated. It should also bring the channel's look in line with its aspirations. Beamly is a social media platform for mobile devices built on interaction around TV shows. More than many others, it exemplifies the concept of the mobile phone as the "second screen", used to comment on what goes on the first screen (the TV set). It was known as Zeebox until April 14, when the new brand name was rolled out. The rebranding was done in-house, with the design work headed by art director Duncan Riley. Zeebox had felt that their original name didn't reflect the app and was confusing to the audience. Riley wanted "a simple, friendly, classic approach" to the process, which is reflected in the final product. He chose to work with a strong red-pink as the primary colour, with a full range of supporting colours. Next week marks the 20th anniversary of the launch of one of the Orange brand. On April 28, 1994, Britain got a new mobile telephony company with the unconventional name Orange. It has since grown to become a large corporation and a textbook case for how to conceive and launch a new brand. Hutchison Microtel, owmned by Hong Kong-based conglomerate Hutchison Whampoa, had won the license to set up Britain's fourth GSM network. It didn't have any particular technical advantages, so it would have to build its business on its offers and its brand. In addition to Microtel's in-house team, the company commissioned corporate identity form Wolff Olins and ad agency WCRS to establish a tone of voice for the new brand. Mobile telecommunication was still seen as something for businessmen among the public, as well in parts of the industry itself. This reflected in the technical names of its competitors; Vodafone, Cellnet and One2One. The story goes that the brand was to established on simplicity, openness and optimism. Names like Pecan and Gemini were considered, but the team selected the Orange. The name, Wolff Olins' square logo and the communicative concept signalled warmth and humanity. The offers and their pricing were seen as honest and straightforward. TV12 is a new Swedish television channel dedicated to sports and lifestyle programmes for a general audience. It is owned by the TV4 Group and launched on March 29, replacing an all sports channel. Its brand identity was developed by Black Peacock and adapted for broadcast graphics by Broken Doll. Both agencies are based in Stockholm. Although billed as a sports and lifestyle channel, the emphasis is on the lifestyle content. The intention was to create a fresh and elegant identity that stands out this. This is achieved by using bright "natural" gradients superimposed on people engaged in sports and everyday activities. Almhof is a Dutch brand for yogurt and other dairy-based foods. It has been owned by German dairy group Müller since 2004. Back in January this year, Almhof introduced a refreshed brand identity, created by Millford. The work included a new logo, packaging and a new brand architecture. The new packaging is designed to convey "irresistible temptation" and the product's natural ingredients. This blog has been tangentially involved in the Transform Awards which were held earlier this month. The Transform Awards recognise brand development work done in Europe and have done so since 2010. This year they are expanding with new award ceremonies due to be held for the MENA (Middle East and North Africa) region on June 2 and Asia-Pacific in November. Two British rebrands were clearly the most appreciated projects, each bringing home one of the two best-in-show awards as well as several category awards. 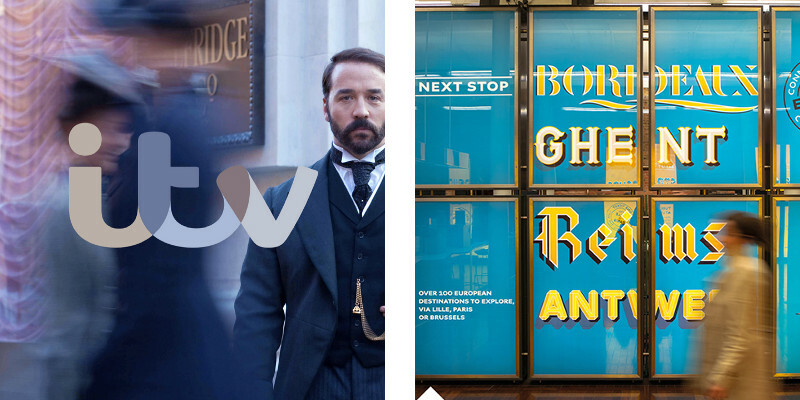 They were the ITV rebrand of last year, created in.house by ITV Creative, and The Clearing's new look-and-feel for Eurostar. All the awards are presented below. Localiza is a Brazilian car rental company with branches around Latin America. It recently introduced a refreshed brand identity, created by Interbrand São Paulo who worked on everything from strategy and repositioning to brand architecture. The brand concept is described as "caring for the path of every costumer" and should reinforce existing brand attributes such as simplicity, efficiency and clarity. This is done by uniting the company under one brand, with three sub-brands for different business units. Functionally, the new logos are horizontal - which means they will be easier to use - and overall more contemporary and integrated. The lines from the redesigned icon can also be used as creative graphic devices. Finally, here's the logo round-up for March 2014. A busy month with lots of new logos unveiled, three dozen of which are featured here. S4C is a national channel for Wales with programmes in the Welsh language. Its name is an abbreviation of Sianel Pedwar Cymru, which is Welsh for "Channel Four Wales". It launched in 1982 and is financed by a combination of advertising and license fee money. Last week, on April 10, it launched a new visual identity, created by Cardiff-based Sugar Creative Studio. Some of the implementation was done in-house at S4C. Functionally, the new logo needed to robust and work with sub-brands and other elements on screen. As an on-screen bug, it was designed to occasionally "wake up" and deliver programme information. Central to Sugar's idea was to establish S4C as a 'context' to which the viewer associates the channel's 'content'. In the new channel idents feature people from Wales in different activities, using the people of Wales as an expression of the 'context' idea. 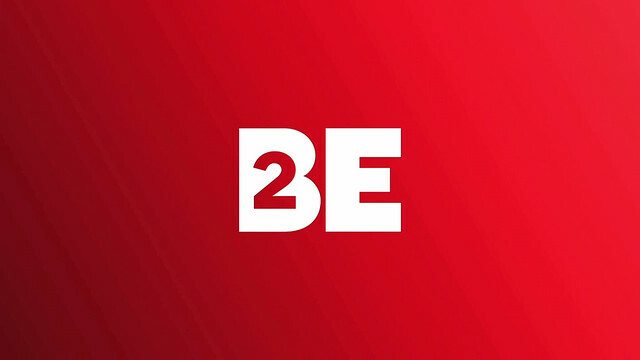 Back in January, we mentioned a new logo for Belgian entertainment channel 2BE. The new identity was launched in March, and I have since been told that the entire package, including logo, was developed by Paris-based broadcast design agency Gédéon. The brief was allegedly to do a rebrand that wasn't "stupid idents" or "graphic design". Instead, 2BE wanted to be all about attitude. This is reflected in the a new graphics package, built to feature a constantly changing range of messages and images. The logo was designed with the number 2 placed inside the B to make it compact, simple and strong. It is often used an effective "window" for different images. Cravendale is a British brand for fresh milk, owned by Danish dairy company Arla Foods. 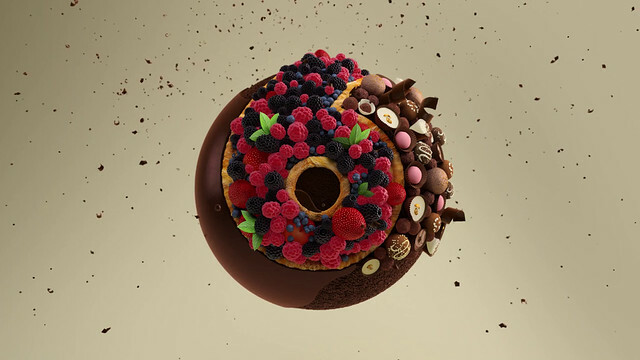 In late March, Cravendale introduced a new visual identity. Brand design agency Pearlfisher created everything from strategy to identity and packaging. The new identity is intended to better communicate the emotion, freshness and quality of the product with an identity. Pearlfisher also developed the slogan "Filtered to be Marvellous", which can be seen on all packaging. Rede Globo is the leading television network in Brazil, on the air since 1965. For about three decades its logo has been a shiny sphere within a sphere gradually updated to stay with the times. Last weekend, on April 6, Globo unveiled a significantly refreshed logo. The original version of this logo was introduced in 1975 and created by Austrian designer Hans Donner. The new version finally looses the metallic effects and adopts a cleaner white look. The rationale behind the change is that the world is changing and that Globo is changing with it. A similar version was leaked almost a year ago. Apparently there was a plan to launch it back then, but it was aborted or postponed. CyanogenMod is an open source operating system for mobile phones, derived from the Android OS. Last week, the company behind it, Cyanogen Inc, unveiled a new corporate identity. It introduces a new symbol built on hexagons with a nice interplay between figure and whitespace. A smaller solid hexagon in the middle represents the user, it is enclosed by a C for the community and a froward-pointing arrow. The little robot icon for the previous logo will survive as a sort of mascot, named Cid. TV6 is a new Norwegian TV channel, launched in November last year. It targets a mostly female audience with a mix of entertainment and lifestyle. Channel idents were created by London-based motion design studio WeAreSeventeen, who revealed their work a month ago. In the idents the logo is formed from various objects that relate to the channel's programming. The decision to focus on the logo was made to establish the new brand in the minds of viewers. The initials batch contains three idents; Food, where sweet ingredients form the logo, Glamour, where the logo is made up of gold and pearls, and Home, where the logo is built and decorated like a cabin. Sizmek is the new name for DG MediaMind, a digital advertising technology company that was spun off last year from digital media company DG. The new brand identity launched in February and was developed by New York-based creative agency Eyeball. Eyeball developed everything from name, logo and brand identity to launch elements, all designed to communicate how the recently spun off company is different from its predecessors. The name is pronounced "size-meck" and signals "the company’s capacity to affect significant and measurable influence throughout the online marketplace". 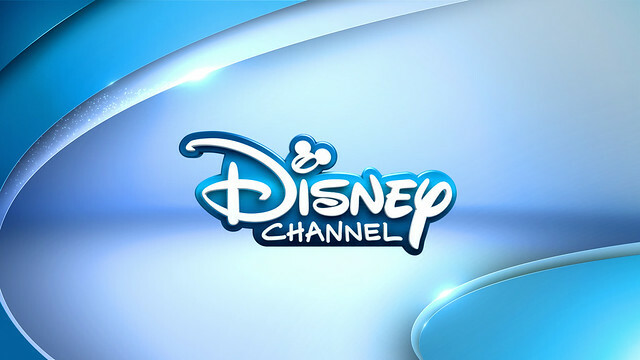 Back in November we reported on the logo for launch of a free-to-air version of Disney Channel in Germany. The channel launched in January with a graphics package produced by BDA Creative in Munich. They won the assignment after a pitch in the summer of 2013. Before the launch the logo was slightly altered to add some Mickey ears in the tittle above the I. Channel idents feature moments of childlike wonder that reveal the logo. The colourful graphics make functional use of the curves in the Disney logo.